45mm gun commander Sergey Ivanovich Kachusov of 1255 IPTAP killed 26 German tanks. Ivan Ilyich Peshkov (315 GIPTAP) - 23 tanks and SPGs. Crew of 76mm gun model 1942: 1st sgt. I.M.Radionov (commander) and sgt. Nasretdinov (gunner) destroyed 54 tanks, 14 guns, 77 MGs, 17 mortars, 5 planes, 700 infantry. 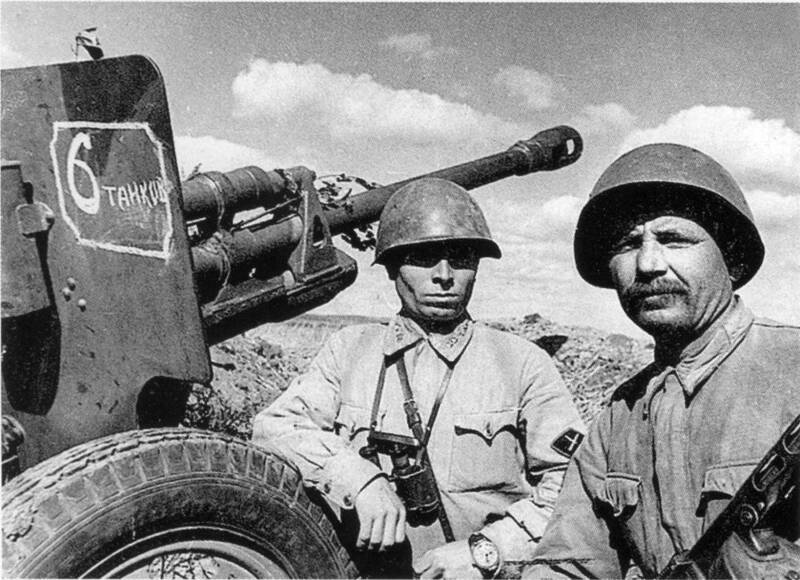 Lukanin brothers - 152mm gun crew (197th Guards artillery regiment) of 1st sgt. Dmitry (commander) and sgt. 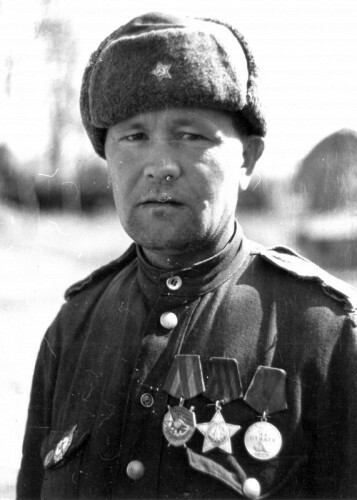 Yakov (gunner) killed 37 enemy tanks and APCs, 600 soldiers and officiers. Crew commander Zakir L. Asfandiyarov (322nd Guards AT regiment, ZIS-3 gun) destroyed over 25 tanks (10 of them - during one combat), over 10 APCs, some tens guns and mortars. 45mm gun commander 1st sgt Sergey Ivanovich Kachusov (1255 IPTAP - tank destroyers artillery regiment) killed 26 tanks plus 11 cars. Sgt. Ivan Ilyich Peshkov (315 Guards IPTAP) - 23 tanks and 1 AFV, many other targets. 45mm gun commander Alexander Alekantsev (422 rifle division) destroyed 25 tanks during two days (24 hours). Corp. Kuzma F. Biserov (gunner, 207th Guards rifle regiment) - 22 tanks, 13 of them - on 6 July 1943. Shaymardanov Zakiy Shaymardanovich (gunner) destroyed 20 tanks and many APCs, cars, strongpints, infantry. Gun commander mast.sgt. Alexey Alexeyevich Vlasov (122nd Guards artillery regiment) - 19 tanks during 6-7th July 1943. 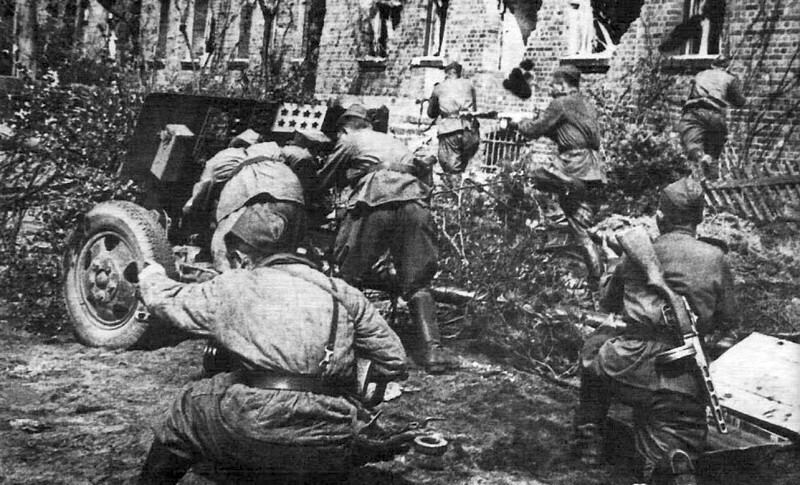 Commander of 122mm howitzer model 1938 Kozlov Ivan Pavlovich (172nd Guards artillery regiment) destroyed 18 tanks, 49 guns, mortars and MGs, 740 soldiers and officiers. Gunner sgt. Stepan Ivanovich Hoptyar (493rd AT regiment) - 13 tanks and 6 APCs, some tens infantry. 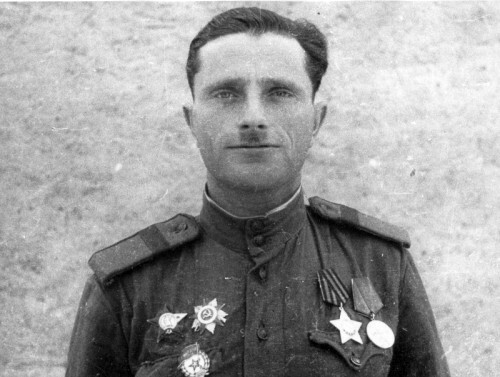 Flak gun commander Ivan S. Fursenko (2012th AA regiment) destroyed 5 tanks and shot down 14 planes. Pvt. Alexander Serov (9th art. AT brigade, gunner) killed 18 enemy tanks; 10 of them were knocked out during one combat. The crew of sgt. R.Sinyavskiy (commander) and corporal A.Mukozobov (gunner) (542nd rifle regiment) killed 17 tanks from June 22 to 26, 1941. Gunner sgt. Alexander T. Bodryashov (145th separate AT division) - 14 tanks, 2 guns, some tens infantry. Lt. I.Z. Shuklin eliminated 14 tanks plus many other targets. Jr. lt. Kasumov Hayrula Samedovich (1036 art.regiment) killed 14 panzers and some other targets. Jr. sgt. V.F. Barmin (76mm ZIS-3) destroyed 14 tanks during August 1942. Sergeant Permyakov V. M. (76mm ZIS-3, 322 GIPTAP) destroyed 13 tanks and many infantry. 1st sgt. Alikantsev (45mm 53-K) destroyed 12 tanks on 25 August 1942. Pvt. M.Pechjonkin (89th Guard art. regiment, gunner) killed 12 tanks. Sgt. N.A.Moskalev (crew commander) destroyed 12 tanks on 24 June 1941. Crew commander, 1st sgt. Sulgi Lutfullin (943rd AT regiment) - 12 tanks. Crew commander, sgt. Nikolay I. Kuznetzov (369th separate AT division) - 11 tanks and other targets. Pvt. Sergey M. Fadeyev (gunner, 729 separate AT division) - 11 tanks during few days of 1943. Sgt. Pyotr Panov (16th tank corps) killed 11 tanks. 45mm gun commander Galimhan Idrisov destroyed 5 tanks, 6 APCs, 2 supply columns, 200 soldiers and officiers. 1st sgt. N.A. Sazonov (76mm gun model 1942) eliminated 10 tanks, 16 MGs, 400 infantry. Corporal K.Zuyev (crew commander, 1019 rifle regiment) killed 10 tanks on 7th July 1943. Sgt. Nikolay I. Krasnov (gunner, 1852nd AT regiment) - 10 tanks (1943). Sgt. Agapov (57th artillery regiment, crew commander) killed 10 tanks. Pvt, Gunner Mukatay Abeulov (152nd Guards AT regiment) killed 6 tanks and 4 APCs. Nikolay Sirotinin (137th rifle division) killed 10 tanks and APCs on 17th July 1941. Cpt. P.D. Stemasov destroyed 9 tanks and some infantry on 25 October 1941. F. Chihman killed 9 tanks. Gunner pvt. Alexey I. Gorev (353rd Guards AT regiment) - 9 tanks on 23-25 July 1944. Commander of 152mm gun model 1937 sgt T.P. Lunev destroyed 8 tanks, 19 MGs, 14 observer points, 42 cars. Gunner Zaynulla M. Mustakimov of 536th AT regiment killed over 6 tanks and some armored cars. Crew commander 1st.sgt. Tsakay Makayev (37th Guards separate AT division) - 8 tanks and 14 MGs. Crew commander 1st.sgt. 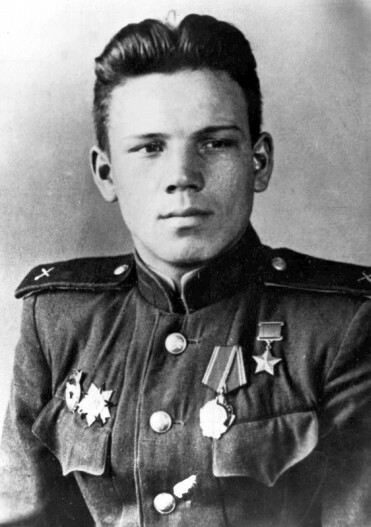 Ivan F. Zhukov (868th AT regiment) - 8 tanks, 4 cars, 2 MGs in August 1943. Gunner sgt. Aldunyonkov Pyotr Yefimovich (324th Guards AT regiment) - 8 tanks and 1 APC on 15th August 1944. Sgt Fefelov Kalina Makeyevich (1062 artillery regiment, 173 Guards artillery regiment) destroyed 8 panzers and many other targets and infantry. Jr.sgt. Rastoropov Boris Pavlovich (44th mech brigade, commander of 57mm ZIS-2) destroyed 8 tanks (1 of them by grenades), some MGs, many infantry and cars. Gavriil Dmitrievich Protodiakonov (45mm gun) destroyed 8 tanks during one combat. Crew commander Trofim Minovich Troyan destroyed 8 tanks during one combat (summer 1941). 1st sgt. 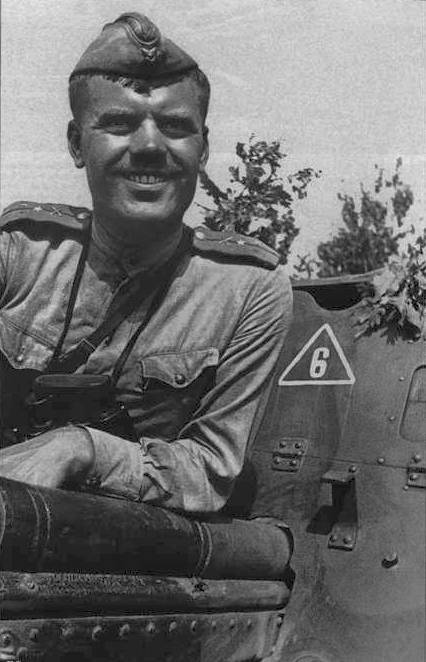 Mullayar Syrtyrlanov killed 8 tanks and 16 soldiers in one combat (October 1943). 1st. sgt. Zykov (76mm ZIS-3) - 8 tanks. Sgt. Vyohov Ivan Iosifovich (1037th artillery regiment) - 8 tanks and some infantry (September 1944). Sgt. Afanasiev destroyed 8 tanks during one combat (1942). Jr.lt., 45mm guns platoon commander Borisyuk Ivan Ivanovich (676th rifle regiment) personaly killed 8 tanks in July 1943. H.I. Kinzhaev (1177 antitank regiment) killed 8 tanks on 6 and 7 July 1943. Sgt. Vitaliy A. Ulianov (gunner 45mm gun, 280th Guards rifle regiment) - 5 tanks, 3 APCs + infantry. Sgt. Terentiy F. Moroz (crew commander, 258th light artillery regiment) - 2 tanks, 6 APCs, 3 guns, 6 MGs, 4 mortars. Sgt. Mihail S. Fomin (gunner, 159th Guards artillery regiment) - 7 tanks and 1 gun on 07.07.1943. Mast.sgt. Nikolay I. Berezhnoy (crew commander, 398th artillery regiment) - 7 tanks, 12 MGs, 7 cars, + some infantry. Mihail F. Borisov gunner of 45mm gun, 76mm ZIS-3 (36th Guards rifle regiment) - 7 tanks + 1 armored car + 250 infantry. 1st sgt. Mansur Abdullin (crew commander) destroyed 7 tanks, many infantry and a truck column during one day (summer 1943). 1st.sgt. Vladimir P. Bondar (crew commander, 1672nd AT regiment) - 7 tanks, 2 MGs, 1 mortar and many infantry. Mast.sgt. Antinin Avak Vartanovich (crew commander, 353rd Guards AT regiment) killed 7 tanks and many infantry on 24th July 1944. 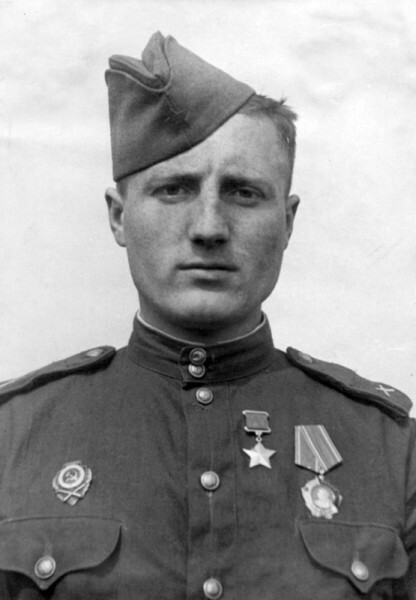 1st sergeant N.N.Sherstov commander of 57mm gun of 386th IPTAP knocked 7 panzers. 1st.sgt. Vanin Nikolay A. (696st AT regiment) - 7 tanks and 5 MGs (August 1944). Crew commander Alexander Startzev destroyed 7 tanks (in one combat, summer 1943). Gunner Ivan Ivanovich Gaydayenko killed 7 tanks on 24 June 1941. Gunner then commander (45mm, 57mm, 76mm guns) Mikhail Badigin flamed 7 tanks. Gunner pvt. Dyskin killed 7 tanks. Ivan Remizov killed 7 tanks. T.A. Sychyova (female) killed 7 tanks. Jr.sgt. Vasiliy Platonovich Lazarev killed 7 tanks on 24 June 1941. Crew commander 1st sgt. Leonid P. Danilov (9th Guards mech brigade) - 7 tanks. Crew commander sgt. Grigoriy Litvinenko (1180th AT regiment) - 7 tanks. Crew commander sgt. Alexander B. Loginov (52nd Guards artillery regiment) - 7 tanks during 6th to 8th April 1945. Battery commander cpt. Bobseshko Konstantin Matveyevich (26th Guards artillery regiment) personally killed 7 tanks. Platoon commander lt. Grigoriy Matveyevich Volnynsky (732th antiaircraft regiment) killed 7 (14 by 2 85mm flaks) tanks during 30th October 1941. Crew commander sgt. Rukin Ignat Trofimovich (5th Guards artillery regiment) killed 7 tanks on 14 October 1943. Crew commander Yuriy Dobrynin destroyed 6 tanks and 2 APCs (13th October 1941). Crew commander 1st.sgt. Sergey D. Yefimov (120th Guards separate AT division) - 5 tanks, 1 APC, 1 armored car and tens infantry (22nd March 1944). Ivan Markin destroyed 6 tanks, 1 plane and 2 cars. 1st.sgt. Yefim V. Gaponov (crew commander, 92nd AT regiment) - 6 tanks, 1 armored car and some mortars. crew commander pvt. 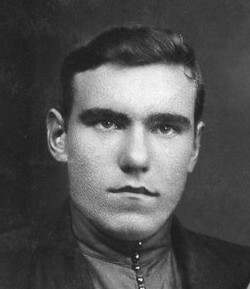 Vildimanov A.V. (597th artillery regiment) - 6 tanks, 1 APC, 4 MGs and over 70 infantry (August 1944). 57mm gun commander master sgt. Vasiliy Mihailov destroyed 6 tanks, 1 APC and some infantry on 14th and 15th August 1944. Commander of 122mm howitzer model 1938 1st sgt. A.M. Akulenko destroyed 5 tanks, 2 APCs, 4 guns, 36 MGs, 3 observer points, 25 strongpoints, 34 cars, some infantry. Gunner jr.sgt. Temirey T. Kazakov (507 separate AT regiment) - 6 tanks, 4 MGs and tens infantry during 30-31 January 1945. Crew commander 1st sgt. Ivan G. Vihrov (1030th artillery regiment) - 6 tanks and some tens of infanry during 10-12th March 1945. Gunner of ZiS-3 gun jr.sgt. Tananayev A.S. (868th AT regiment) destroyed 6 tanks, 2 cars and about 30 infantry during 7.07.1943. Gun commander Babaytsev Nikolay V. (787th artillery regiment) - 6 tanks, some HMGs and many infantry (during 1942-1944). Gunner of 45mm cannon pvt. Golev Leonid D. (310th Guard regiment) killed 6 tanks, 3 MGs and tens of enemies in October 1943. Crew commander sgt. Nikita Ye. Tokarlikov (1971st AT regiment) - 6 tanks and many infanry during 18th August 1944. Flak gun commander 1st sgt. Shaduntz Gayk Avakovich killed 6 tanks (1941). Boris Vasilievich Nazarov (76mm ZIS-3) killed 6 tanks. Ivan Vasilievich Vasiliev killed 6 tanks on 24 June 1941. Gunner Fyodor Yakovlevich Chihman destroyed 6 tanks in one combat (1941). crew commander 1st sgt. Yefim A. Voinshin (616th artillery regiment) - 6 tanks on 18 July 1944. Crew commander Gabit Ahmerov destroyed 6 tanks in one combat (winter 1943). Sgt. Nikolay M. Hitryh - 6 tanks and some infantry in one combat. 76mm gun commander sgt. Hudat Bulatov (16 Guard cav. division) destroyed 6 tanks and some amount of infantry. Gun commander sgt. Pyotr A. Zemtzov (4th Guards rifle regiment) - 2 tanks, 4 APCs, 1 arm car, 3 MGs, 1 strongpoint (in January 1945). Gun commander 1st sgt. Ivan Voronkov (5th Guards artillery regiment) - 4 tanks, 2 arm cars, 6 cars (in October 1943). Gun commander sgt. Alexey I. Lebedev (896th rifle regiment) - 4 tanks, 2 APCs (on 19th July 1943). Gunner 1st.sgt. Grigoriy V. Gerasimov (649 AT regiment) - 4 tanks, 2 APCs, 6 cars. 45-mm gun commander of 241 Guards rifle regiment N. N. Vinogradov - 3 tanks, 3 armored cars, plus other targets and some infanry. 76mm gun model 1942 commander 1st sgt. A.B. Kabakov and gunner 1st. sgt. I.S. Pozdnyakov - 5 tanks, 12 guns, 56 MGs, 550 men. Commander of 76mm ZIS-3 I.P. Plotnikov destroyed 5 tanks, 1 APC, 10 guns, 22 MGs, 7 strongpoints, 9 cars, 200 men. Ivan M. Malygin (76mm gun model 1942) eliminated 5 tanks, 12 guns, 27 MGs, 200 men. Commander of 76mm USV I.P. Yermak killed 5 tanks, 52 MGs, 400 men. 1st.sgt. Pyotr A. Ignatiev (crew commander, 130th Guards artillery regiment) - 5 tanks and tens of infantry on 9th August 1944. 1st.sgt. Vasiliy N. Goloulin (crew commander, 71st separate AT division) - 5 tanks and tens of infantry during 20-21 December 1943. 1st.sgt. Vasiliy V. Kriklivyi (crew commander, 1958th AT regiment) - 5 tanks and tens of infantry on 18th November 1943. Lt. Daniil S. Dyaditzyn (platoon commander, 19th Guards airbone regiment) - 5 tanks and tens of infantry. Sgt. Nikoklay Smirnov (76mm gun) killed 5 tanks on 8th April 1945. 57mm gun commander sgt. Victor Kireyev (386th AT regiment) - 5 tanks on 7 and 10 November 1943. Crew commander, jr.sgt. Pavel I. Tugin killed 5 tanks on 24 June 1941. Gunner, sgt. Timofey I. Vostrikov (12th AT regiment) - 5 tanks on 8th July 1943. Gunner, pvt. 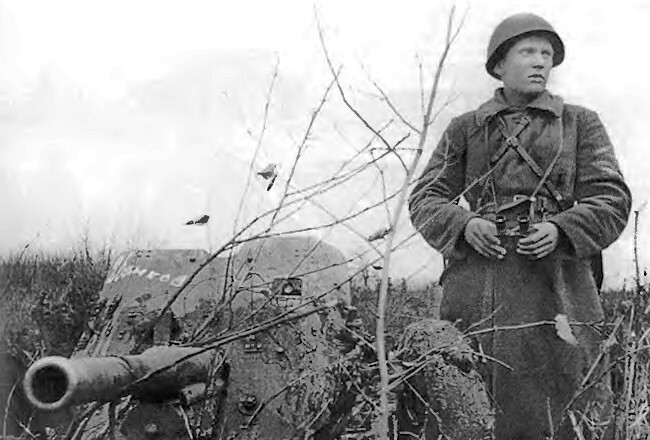 Ivan A. Gerasimov (1666th AT regiment) - 5 tanks during one combat in October 1943. 1st lt. Mihail P. Hvastantsev killed 5 tanks on 21st August 1942. Crew commander, 1st.sgt. Nikolay A. Byelskiy destroyed 5 tanks on 2 February 1945. Pvt. Filimon I. Zemlyanyh (driver, 1620th light artillery regiment) - 5 tanks during 18-22.8.1944. Crew commander, 1st.sgt. Vasiliy S. Averianov (19th mech brigade) flamed 5 tanks in October 1943. Crew commander, mast.sgt. Yakov S. Zimin (232th AT regiment) - 5 tanks on 9th October 1944. Mast.sgt. Yegor I. Ivanin (747th AT regiment) - 5 tanks on 21st August 1944. Sgt. Buhtulov Pyotr H. (gunner, 1431st light artillery regiment) - 5 tanks on 17 January 1945. Sgt. Suren A. Kasparian (gunner, 86 Guards separate AT division) - 5 tanks on 20 August 1944. Ismail Hamzaliev destroyed 5 tanks on 8 June 1943. 76mm gunner 1st sgt. Sergey V. Abaulin (421st, 191st rifle regiments) destroyed 2 tanks, 1 armoured train, 2 battery of guns and some infantry. Sgt. Leonid G. Borodin (gunner, 1137th light artillery regiment) - 4 tanks, 1 APC during 5 and 6 february 1945. 1st.sgt. A.N. Berkovsky (gun commander 315th Guards tank destroyers artillery regiment) - 6 tanks, 1 AFV, 8 MGs, 10 cars, many infantry. Sgt. Nikifor N. Zinchenko (gunner, 262nd separate AT division) - 1 tank, 4 APCs, 3 MGs, many infantry. Gunner Yegor Orsaev destroyed many? tanks. 76mm gunner 1st sgt. Ivan Korneyev destroyed some? AFVs, some cars and many infantry. 45mm gunner Yegor Khachin killed some? tanks. Commander of battery 45mm guns model 1942 Alexander V. Rogachyov (1513th AT regiment) destroyed some? tanks and APCs, many MGs and infantry. Commanders of 122mm howitsers model 1938 1st sergeants I.Dushenin and P.Lomakin (969th artillery regument) destroyed 11 tanks, 9 guns, 20 cars, 1 train, 2 strongpoints, some mortars and other. If you can add any data on most effective gun crews, please E-mail me. 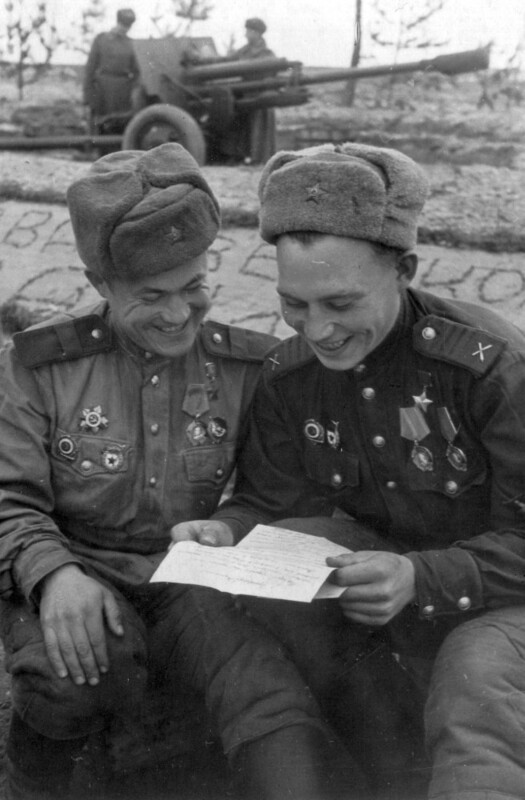 This list is incompleted, because in Soviet army almost weren't statistics about personal victories. In many cases I was forced to use a fragmental sources, so some scores may be actually bigger. This is the first antitank aces rating in the internet. Before the establishment of my own domen wio.ru, this site grew up at the free hostings (geocities.com, then boom.ru). Soviet 76mm gun ZIS-3 with victories marks and the warriors. ΓΛΐΒΐ 2.10. Μσζχθνΰ θ ζενωθνΰ. Βξζΰκ θ ρξφθσμ.